It is a common practise for the Police in India to ‘show off’ their catch and also have the names of all the police personnel who participated in the investigation published in the print media. Luckily, the Indian Army does not follow this practice and one would rarely hear the name of the army unit or the persons involved in any such incidents. Often the police parade the persons arrested, at times with their faces covered and the media goes full blast to carry out their ‘trial’ and declare the verdict. No one ever cares to issue any clarifications or do any sort of damage control in case the media trial is proved wrong. The way the media trial affected the Arushi murder case was well brought out in the Hindi movie made on the subject. In case of the Sheena Bora murder case too, the media competed with each other to hype up the case and create a frenzy. There were always some ‘un-named police source’ that was quoted to give authenticity for all their saucy news stories, all in the name of Television Rating Points (TRPs). The media has not only put pressure on the investigating police agencies, but have also been successful in creating an opinion in the public’s mind that a woman, who could pass off her daughter as her sibling, ought to have murdered her. After the police filed the charge sheets in the TP Chandrasekharan murder case in Kerala, a leading Malayalam Newspaper published an article on 14 August, 2012, with details of all the police officers involved in investigation and charge-sheeting of the persons involved. The details included the names, appointment, location and seniority. To top it all, the article was published with photograph of these Police Officers. Why are they naming these police officers and compromising their identity and safety? Have you ever seen Canadian or American press ever doing this? When will these ‘James Bond’ journalists ever learn? Why is a reputed Malayalam newspaper publishing such articles? Is this the journalistic Dharma these journalists are supposed to uphold? Is it a deliberate leak by the Police to score some brownie points or for publicity sake? These were a few questions which came to my mind on reading this journalistic blast. 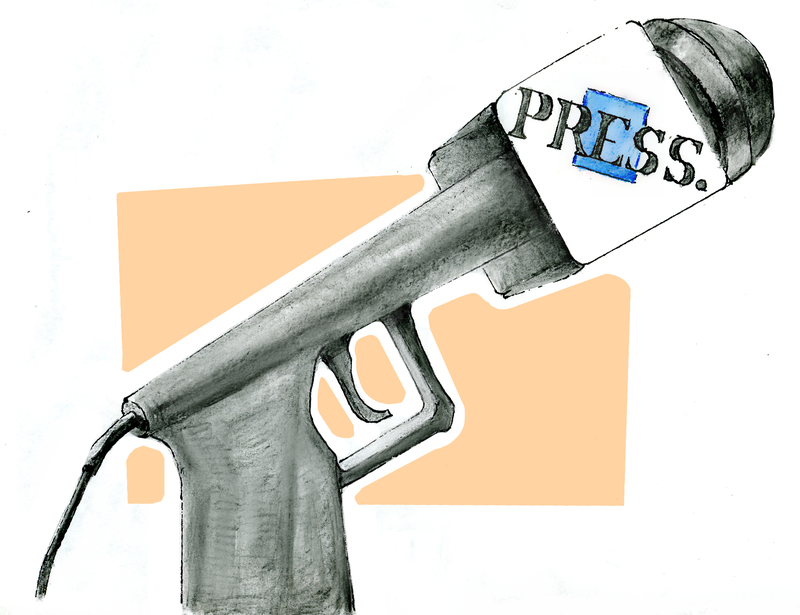 The way the media helped the attackers of Mumbai carnage (26/11) is fresh in our minds. If so, it is high time the Police across the country do a rethinking about their media relations. The relationship between journalists and the police is a delicate one — a dance in which each party moves gingerly, trying to avoid stepping on the other’s toes. It is a symbiotic relationship in that the police and journalists need each other. But each has a clearly defined role guided by in-house policies, ethical considerations and time-tested practices. The police disseminate information to further investigations, warn citizens of sudden dangers and educate the public about how to stay safe. In the Internet age, there are now more ways than ever for law-enforcement agencies to accomplish these goals. But police still depend on the media to quickly reach a large segment of the public. Journalists are citizens, too. So they have an interest in informing the public and giving people the information they need and be responsible members of the community. In Canada, the police take special care about their press releases and it is handled by a specialised Media Relations Team. This team advises on matters relating to media, community, public and government relations. They also develop, implement and monitor corporate policy, objectives and standards for corporate communication. The role of the Media Relations Team is to provide information to the various media outlets and facilitate the dissemination of information to the citizens that they serve. Special care is taken by the Media Relations Team to ensure that the identity of their Police Officers is not compromised. In most cases we do not hear the names of Police Officers responsible for the investigations, let alone seeing their photographs. In many cases the information about those charged or arrested is not disclosed until the media relations team clears it. In case of minors, the identity is hardly ever disclosed. In cases, especially those involving death or serious injuries, the identity of the victims are not disclosed until cleared by their family members. They uphold and respect the privacy of the citizens. In case of a very important case, a very senior police officer briefs the media about the developments. In Paul Muthoot murder case in Kerala, India, the press briefing by a Deputy Inspector General of Kerala Police was so disastrous that it adversely affected the police investigations and the prosecution of the case. Most press conferences in Canada is done with the speaker standing up including the Prime Minister. They follow a script and do not exceed the brief as given by their Media Relations team. In case of a Police briefing on any undergoing investigations, the brief ends with a thank you note and the speaker does not usually take on any questions. (Please read my earlier Blog : Stand Up While You Work). In India, the speaker briefing the media is often seen sitting down and mostly without a script. There is hardly any specialised media management team. They end up adding spice and fat to the story and often add their ‘personal touches’. The speaker takes on questions and in answering them, often put their foot in their mouth. At the end of it all they come out with their clichéd excuses like “I was quoted out of context”, “the media twisted the facts” and so on. One must study the operation to hunt Sivarasan and gang, killers of Rajiv Gandhi. Veteran Major AK Raveendran was the one who headed the commando team to capture Rajiv Gandhi’s killers. He has brought out all aspects of the operations in his Malayalam movie “Mission 90 Days.” The movie ends with a statement that the commandos would have captured all the killers alive had it not been for the delay imposed by former CBI director DR Karthikeyan, who headed the Special Investigation Team. Major Raveendran claimed that the delay was due to the chief’s media appetite to show up at Bangalore where the operations were in progress and earn publicity. Let us pray to God Almighty that sense dawns upon Police forces of India in these modern day criminal environment and the press play a constructive role is safeguarding the citizens and the police. There is an urgent need to codify the Media Relations aspects for the Central and State Police Forces and also for the Army. Every point raised in this article are quite relevant to various security forces operations / police investigations. In many cases, it is detrimental to give out the analysis or assessment before the investigation is concluded & culprits arrested. It may also be relevant in the recent terror attacks in various parts of the world, wherein the groups responsible were announced too early in the investigations, giving their leaders time to escape. A certain level of confidentiality must be maintained and the forces should not succumb to media pressure to share complete details. We want publicity but not ready to take any responsibility. There should be some rules / guidelines for the police to briefing the press. The media is also eager to make sensational stories. India news media is full of stories and hot news unlike western news papers. India public appreciate such stories and the media provides what they want. It is really unfortunate. No one wants to bell the cat. Your observation on Indian media is absolutely true.. Both print and visual media wield tremendous power and can twist the truth to their advantage to a large extent. Its sad that no provision exists here to punish the media, if they are proved wrong. A good read indeed.